One of the Chiefs form St. Regis Mohawk Tribe. Talks about effects of industry in his land. Been there, done that. Here to support. He is thankful for living this day to see the sacred prophecies come to pass before his eyes with one heart, one mind. Herald covers key points in our history and the environment. "We're not given very long on this earth; so while we're here, we do what we can to protect her." "I survived a shootout with the FBI"
"Our youth understand the power of prayer." "They want the world to know that we are a peaceful an beautiful people." "I am going to have to raise my children here someday, and they are going to have to drink the water. Mni Wiconi, water is life, You cannot life without water. " 9/21/16 LaDonna Brave Bull Allard - "Is This America" Co-Founder of Sacred Stone Camp Recalls Dog Attack on Native Americans - Democracy Now! Promoting new film: "How To Let Go of the World and Love All the Things Climate Can't Change"
​3:57 Kendrick Eagle, 23, raises his 4 brothers on his own. In 2014 he met President Obama on the Standing Rock reservation where he lives. 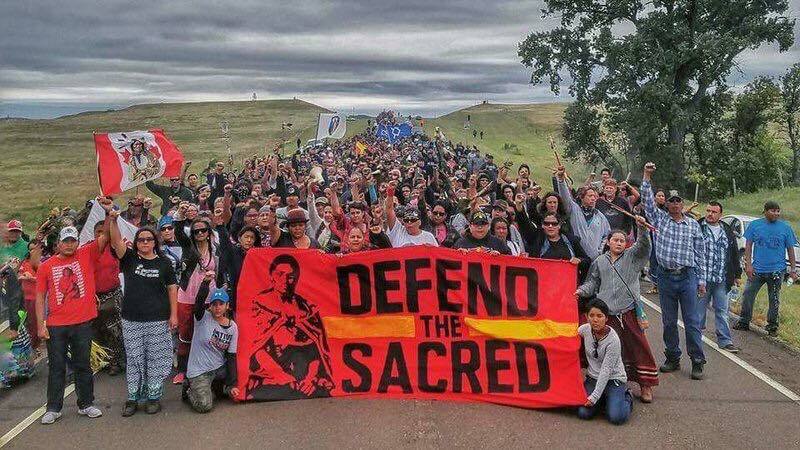 Listen to the beautiful, heartfelt message he has for Obama as Standing Rock and the world fight to secure clean water for his generation and all those to follow.